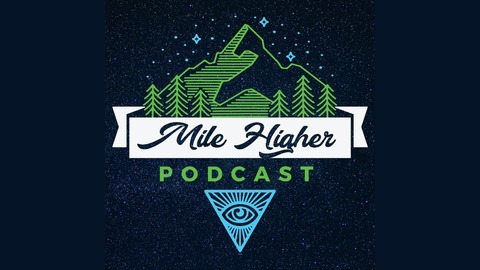 Welcome to the Mile Higher Podcast hosted by husband and wife duo Josh Thomas and Kendall Rae! Our show is focused on True Crime and Conspiracy Theories but we delve into many other topics including unexplained phenomena, metaphysics, futurism, ancient civilizations and news stories the lamestream media doesn't cover. Our guests include experts in these topics as well as like-minded individuals who share our passion for uncovering the truth and exploring the mysteries of our universe. We never changed we just woke up and so can you. Come chill with us every Monday and prepare to take your mind a mile higher! In this episode, we discuss more Mandela Effect examples, new universe theories including a new idea around the simulation theory. We also discuss the latest with cannabis legalization as well as Airbnb hosts spying on you. We are joined today by our two woke friends/family John and Janelle. You will have your mind blown this episode guaranteed! 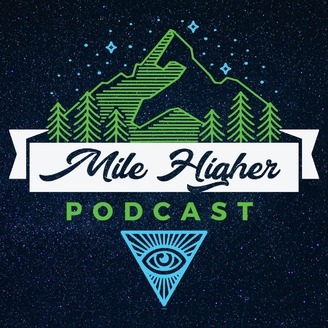 Welcome to the Mile Higher Podcast hosted by husband and wife duo Josh Thomas & Kendall Rae! Our show is focused on Crime & Conspiracies but we delve into many other topics including unexplained phenomena, metaphysics, futurism, ancient civilizations and news stories the lamestream media doesn't cover. Our guests include experts in these topics as well as like-minded individuals who share our passion for uncovering the truth and exploring the mysteries of our universe. We never changed we just woke up and so can you. Come chill with us every Monday and prepare to take your mind a mile higher! Thank you to our Stellar Patrons! Subscribe to this channel for new podcasts EVERY MONDAY and prepare to take your mind a mile higher! Listen to the podcast at http://milehigherpodcast.com or on iTunes, Spotify, Google Play, Stitcher, and TuneIn! EP.60 The FAILED Education System, UFO Time Travelers & Is Reality An Illusion?